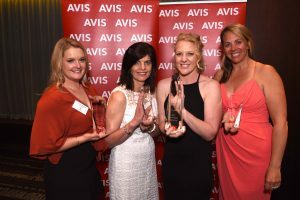 Avis is delighted to announce the 2017 recipient of the Avis Travel Agent Scholarship as Nakita Byrne, a regional New South Wales-based Personal Travel Manager with the TravelManagers network, who will now benefit from a Scholarship program valued at more than $40,000. Judges for this year’s Scholarship — which for the first time in its 21-year history expanded to include New Zealand and adopted a fresh emphasis on innovation — praised Byrne for her inventive approach to building closer relationships with customers. In her application, submitted as a series of YouTube videos, Byrne demonstrated a number of customer service initiatives. Among them was her use of Instagram tags to encourage customers to submit images during their trips, which ultimately led to an upsurge in endorsements, increased brand awareness and new bookings. 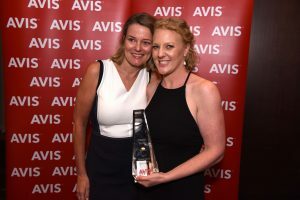 Kaye Ceille, Managing Director Pacific Region, Avis Budget Group, says Byrne highlighted the benefits that can flow to travel agents who can embrace social media to engage in the trust economy. Kim Mason, TravelManagers Australia (Sydney, New South Wales). Ceille thanked every travel agent who took part in this year’s Scholarship program, and acknowledged the award’s major sponsors for their ongoing commitment and generosity. 2017 Finalists (L – R) Amber Halleday, Brigitte Kempf, Nakita Byrne and Kim Mason.